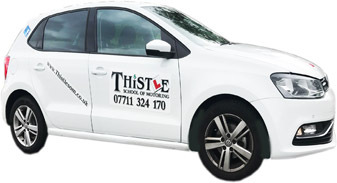 At Thistle, I believe in not only preparing you to pass your driving test quickly, easily and first time, but teaching you safe driving techniques for life, using a fully structured training package, which covers the Driving & Vehicle Standards Agency (DVSA) syllabus and ensure you receive maximum value. All our training is based on your individual needs and our main priority is to help you to become a safe, confident and responsible driver as quickly and efficiently as possible. Professional tuition that is structured, methodical and easy to follow. Free course handouts which will help you to learn quicker. Drivers progress card so you can follow your improvement. 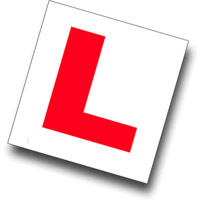 Semi-intensive or weekly driving lessons to suit your needs. Full one hour lesson to ensure you get maximum value. No car sharing -we are dedicated to you. Special discount on block bookings. Fed up with standing at a bus stop on a cold wet morning? 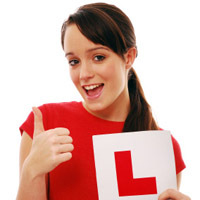 for details of how we can help you pass your driving test. 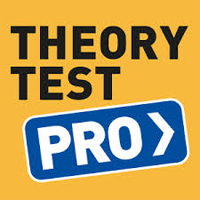 Theory Test Pro has everything you need to pass first time. You can practice multiple choice questions by topic, hazard perception tests with feedback, or alternatively revise the highway code. Are you 16 years and 9 months? Are you 17 or older? Well then what are you waiting for, learn how you can get in the driving seat and pass your test as fast as possible with Thistle School of Motoring. I aim at all times to provide a professional, efficient and courteous service. Student satisfaction is very important to me, aiming to meet any special need my students may have. 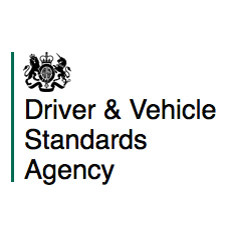 You'll need to get a provisional driving licence, take driving lessons and learn the rules of the road. The professional instructor is skilled in teaching these basics.